John Caroway Arrowsmith was born in 1894. As a colonel in the U.S. Army Corps. of Engineers in 1942, Arrowsmith was placed in command of Base Section 3 in Ledo, Assam, India which was responsible for construction of the Ledo Road. At the same time he also commanded the 45th Engineers, who with the 823d Engineer Aviation Battalion began the road project, building warehouses, hospitals, barracks, and base roads at Ledo. On 16 December 1942, they began building the double-track, all-weather Ledo Road. Under Arrowsmith's command, the road reached the Patkai mountains and crossed into Burma. Arrowsmith was promoted to Brigadier General. Progress on the road slowed due to a variety of factors including unusually heavy monsoon rain and lack of equipment maintenance and supply. General Stilwell wanted the road complete through the Patkais by the end of the dry season and it was decided to replace General Arrowsmith with General Lewis A. Pick, who took over in October of 1943. 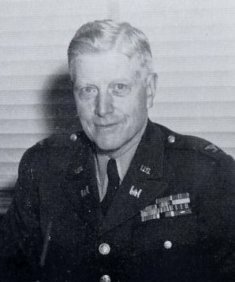 Arrowsmith continued as commander of the 45th Engineers until 1944. He retired in 1953 and died in 1985.